Opus One. Heard of it? Maybe you only know it as a Jay-Z lyric, but Opus One helped put Napa Valley’s Cabernet Sauvignon on the world wine map. First created in 1979 as a joint venture of California’s Robert Mondavi and Baron Philippe de Rothschild, owner of Chateau Mouton Rothschild – producers of the first-growth Bordeaux of the same name. Opus One was, at the time, the most expensive wine produced in California – retailing for $50. Opus One now retails for $235 per bottle. Alas, the Opus One folks did not send along samples. But Opus One’s former cellarmaster, Mike Farmer, did. (Thanks, also, to Susan at WineGlass Marketing.) 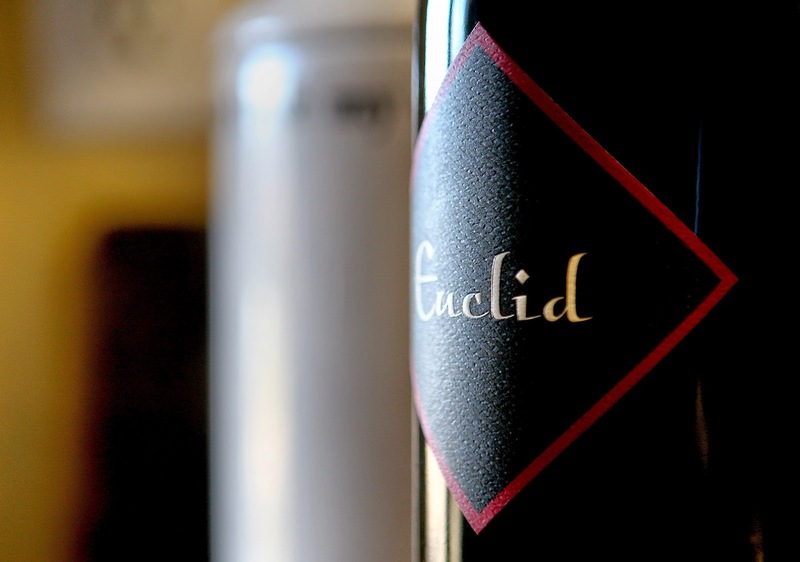 When Mike retired from his position, he and his son Lucas created Euclid Wines – drawing on his 30-plus years of experience in the wine business. For those unfamiliar with what a “cellarmaster” does (and this included me until writing this review!) – this individual is the person who’s in charge of all aspects of production at a winery from when the containers of grapes come rolling in the door to when the cases of bottled wine go rolling out. A winemaker draws up the strategy to create a wine. The cellarmaster executes that strategy. 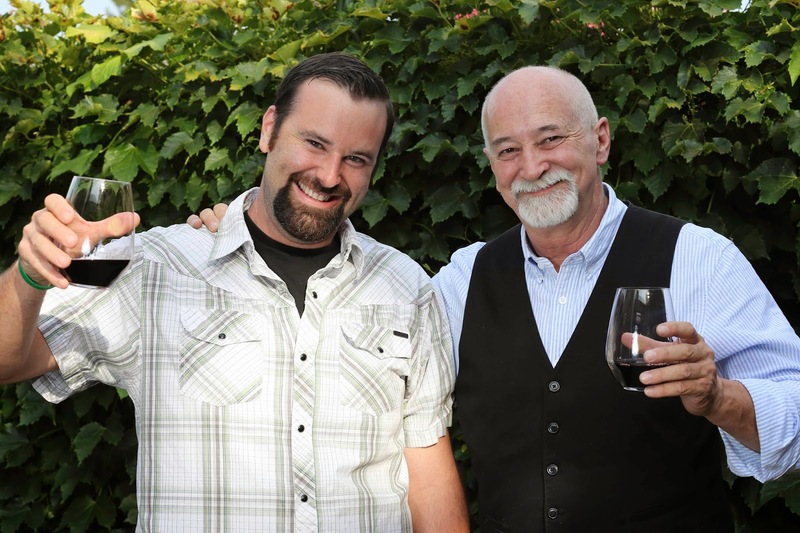 This father-son duo said they wanted to make a Cabernet Sauvignon as their signature wine. They currently produce a premium Cabernet (which is 97% Cabernet with 3% Syrah to round out the blend) and a 100% Syrah, both produced from grapes grown on Howell Mountain in Napa County. The geometrical-sounding name of the winery is Mike Farmer’s middle name, passed down from his grandfather, Euclid Doucette. Farmer describes his grandfather as “a man of intensity, integrity, and true to his word,” and he tried to model his wines after the emotions stemming from that familial respect. There are fewer more direct examples of the market’s invisible hand than wine price points. High-end wine demands high-end prices because people are willing to shell out the cash. As any marketing student will tell you, there are plenty of ways to make wine more desirable aside from actually making a superior product. Fancy packaging, slick marketing, using adult film stars to garner positive reviews, and other tricks of the trade. The Euclid 2010 Napa Valley Cabernet Sauvignon retails for $85, and this is one of the few wines I’ve tried where I thought, “You know, this really tastes like an $85 bottle of wine.” This cabernet is exceptionally well crafted and offers some of the most interesting aromatics I’ve sniffed. My notes say “peaches, cotton candy, crème brulee perfumed sweetness.” Needless to say, these aren’t words that pop up in my reviews of reds very often. The flavor is exceptionally well-balanced, full of vanilla, dark fruit, and super-balanced tannin. The finish was lasting, gorgeous lushness. I grilled a couple of good steaks, which I put next to some grilled beets with goat cheese and dill and it was transcendently good. The Euclid Cab is a fabulous wine and it’s a shame it goes so quickly. I had the last half-glass in the quiet of the Man Cave while mellowing out after the Sweet Partner in Crime had retired for the evening. The wine tasted like Dobie Gray’s “Drift Away” sounds at the end of a hard day. The Euclid 2010 Sierra Foothills Syrah is not quite as pricey as its sister Cab. The retail on this bottle is $40. Syrah is generally a couple of orders of magnitude fruitier and deeper than Cabernet Sauvignon, so I didn’t expect the same sort of subtlety we’d experienced. Even with that notion…wow, what a contrast in style between these wines. Returning to the previous metaphor, if the Cabernet is a mellow 70’s tune, the Syrah is A Tribe Called Quest’s “Low End Theory.” Good lawrd, I don’t know that I’ve ever experienced anything quite like this wine. The nose is typical Syrah – plums, violets, and spice – although it’s really well balanced and quite pretty. The mouthfeel is rich, thick, and fruity…and then the bottom absolutely drops out of this inky, tannic monster. Imagine the warming feel of a good bourbon or scotch and convert that sensation to the fullness and depth of tannin and you’ve got this Syrah’s finish. I could feel blackness filling my chest as I drank this down. While it’s not the drying, mouth puckering tannin that it could be, it feels like a dark depth charge. Boom. I decided to do some lamb chops as a pairing with this – and about halfway through the meal, the Sweet Partner in Crime says, “I just can’t do it. It’s too big.” Caught between the richness of the wine, the marbling of the chops and the savory nature of the fennel and caper relish I’d done as a side, the SPinC overloaded. (My Uncle Alan, in contrast, would have been in absolute heaven.) I got through my glass and, upon seeing myself in the bathroom mirror later, noticed that a single glass of the Euclid was sufficient to blacken my teeth. We didn’t get through the whole bottle. I put a VacuVin on it and sampled it over the next couple of days. After a day, it hadn’t opened up much. After two days, some of the lighter, more vanilla aspects of the nose started to come through – even though the body was still enormous. I think it still needs more time. Make sure you decant it for at least a couple of hours before you drink it. My half-hour wasn’t enough. If you like wines this powerful, snag a couple of bottles to hold for a few years. Hello, folks! It’s your favorite itinerant wine writer, finally firing up the ol’ keyboard again. Since we’ve last shared a few moments, I’ve been on a couple of vacation trips, written a longer feature about the good folks at Flat Rock Spirits which will appear in the Dayton City Paper in a few weeks (and in this space not long after), and given my tired brain a rest from grad skool writing. In short, I’ve been a bit amiss with my Vine-ly duties, so I’m going to try to get the goody train back on track. 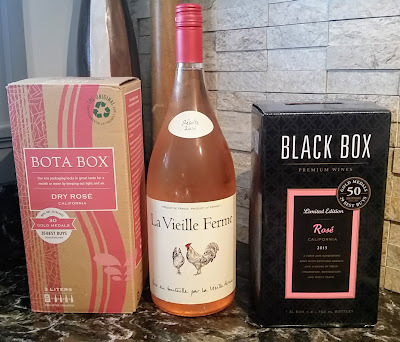 Our last week's gorgeously cool but bizarre weather is yielding to more heat and humidity – and there’s a direct correlation between the heat index and the amount of rosé that gallops past my lips. You folks know I’m always looking for new ones. A recent amble through the “pink aisle” yielded an interesting new bottle from, of all places, Austria – Sattler 2013 Zweigelt Burgenland Rosé. Austria is best known for Grüner Veltliner, a white wine that I described as an “umlaut-speckled, mineral-slathered bottle of deliciousness.” A couple of years ago, I put together a primer on the much-less common Austrian reds, which I where I introduced many of you to their lighter-styled and funkily-named grapes. One of those red grapes, Zweigelt (pronounced ZVEI-gelt) didn’t turn out to be one of my favorites. I thought the red was underflavored and had an odd consistency. Still, I’d not seen pink Austrian wine and wanted to give it a fair shake. I can happily report that, at least for my palate, the Zweigelt grape makes a much happier rosé than it does a red. I guess something about the saignée process used to make this wine aids in this process. Saignée, which is French for “bleeding,” is a process by which a certain percentage of wine is drawn off at an early stage of fermentation. This juice, pink from its contact with the skins, is then vinified like a white wine. The remaining “must” (WineSpeak for “wine in the process of fermenting”) is more concentrated as a result – yielding a red that ostensibly has stronger, more fruit-forward flavor. In Zweigelt’s case, the red ends up with a heavier – almost glycerine – mouthfeel, but the flavors themselves aren't strong enough to match.The rosé, however, ends up a brighter, crisper wine driven by the inherent minerality of Austrian soil, similar to that in Alsace in France. The Sattler has some lovely cherry and raspberry flavors and a crisp, pleasant finish. It’s not as light as, say, a rosé from Provence – but it reminded me of several Spanish rosado I’ve had, and that’s a compliment in my book. The Sattler retails for around $15, which is a good price for rosé with some structure.